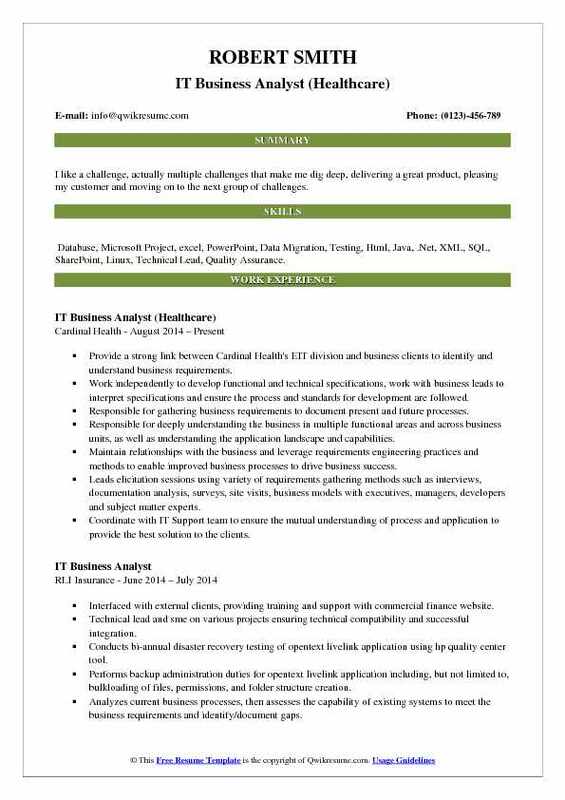 As an IT Business Analyst, your job responsibilities include introducing and implementing new processes based on the latest IT trends to ensure business growth. As there are several ways to introduce this change, the position, therefore, comes with a plethora of responsibilities and the payout is not less either. It demands qualification in diverse IT streams along with expertise in business processes. The other skills that you should possess to grow in the rewarding career of IT Business Analyst are creativity, flexibility, analytical thinking, leadership qualities, interpersonal abilities, and organizational behavior. 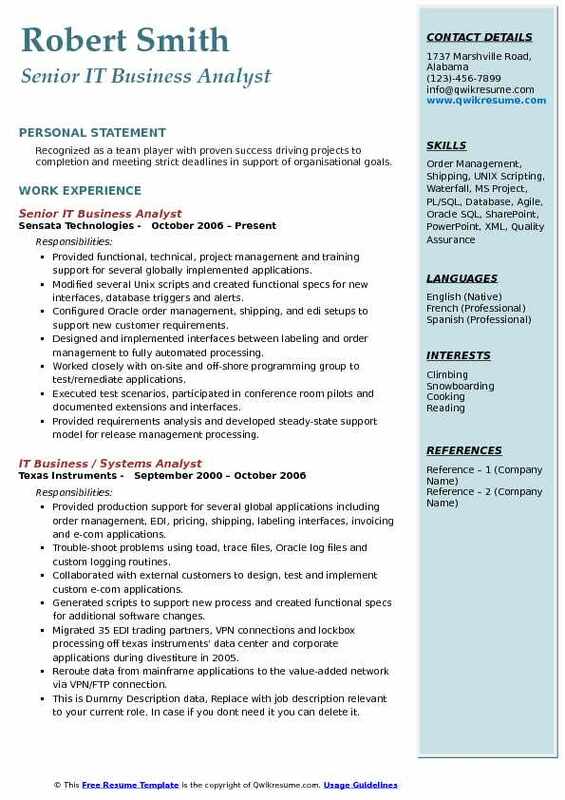 As you draft your business resume, you should ensure that you present all your capabilities to perform as a successful IT Business Analyst Resume. 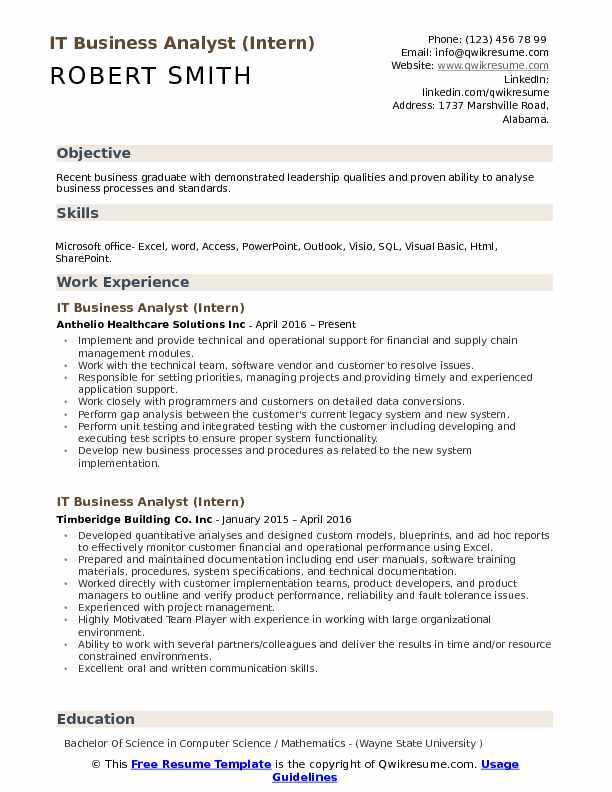 We are here to help you with a sample resume of IT Business Analyst that can give a breakthrough to your career into your desired position. 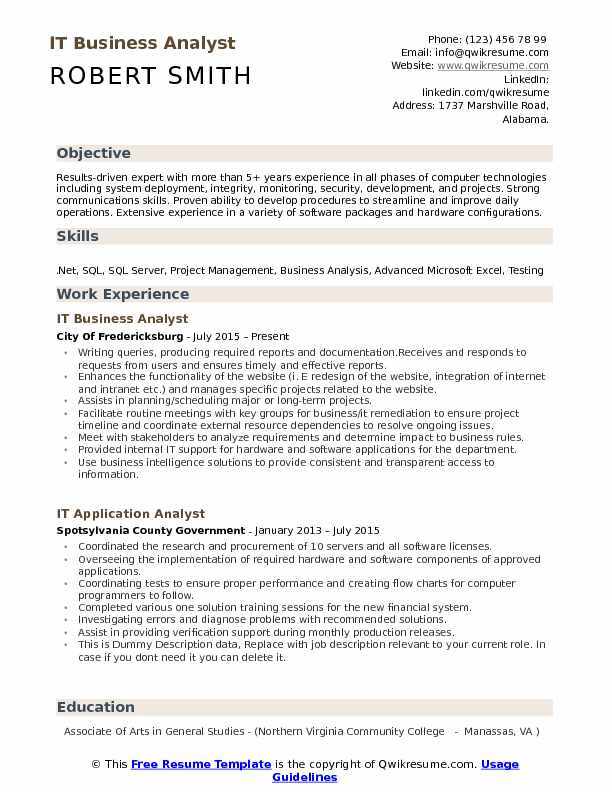 Objective : Results-driven expert with more than 5+ years experience in all phases of computer technologies including system deployment, integrity, monitoring, security, development, and projects. Strong communications skills. Proven ability to develop procedures to streamline and improve daily operations. Extensive experience in a variety of software packages and hardware configurations. Writing queries, producing required reports and documentation.Receives and responds to requests from users and ensures timely and effective reports. Enhances the functionality of the website (i. E redesign of the website, integration of internet and intranet etc.) and manages specific projects related to the website. 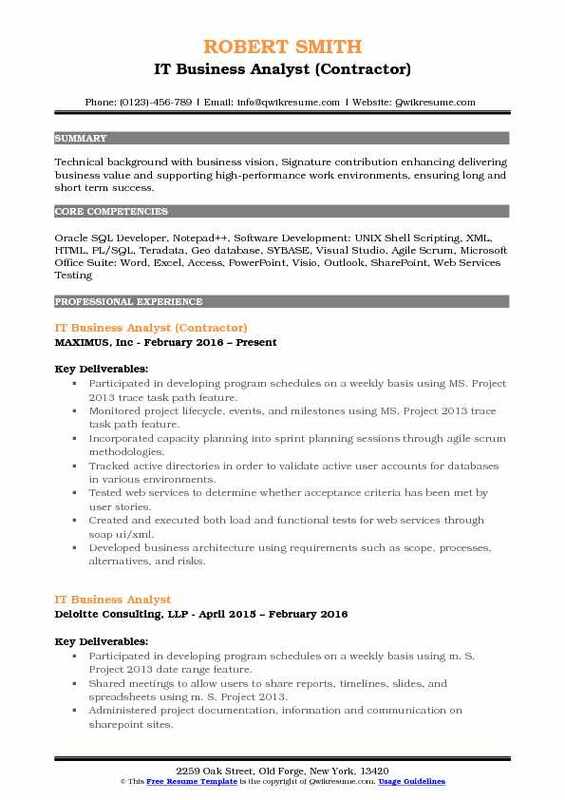 Assists in planning/scheduling major or long-term projects. Facilitate routine meetings with key groups for business/it remediation to ensure project timeline and coordinate external resource dependencies to resolve ongoing issues. Meet with stakeholders to analyze requirements and determine impact to business rules. Provided internal IT support for hardware and software applications for the department. Use business intelligence solutions to provide consistent and transparent access to information. Headline : International experience and exposure to diverse technologies, cultures, and business operations underscores Service. A service- and client-focused professional, with proven team leadership strengths. Work with business training areas to communicate changes to existing workflows. Design test plans and conduct unit/acceptance testing for large scale projects. Manage development and execution of test plans and defect tracking for large scale projects. Determine testing requirements and act as testing manager on medium to large scale projects. Manage activities and projects of medium scale and moderate risk/complexity with direction from bsi management. Develop plans for project tasks, including scheduling and coordinating activities of other team members to produce deliverables. Communicate with appropriate parties to successfully influence project scope, design, and outcomes and to successfully complete assignments. 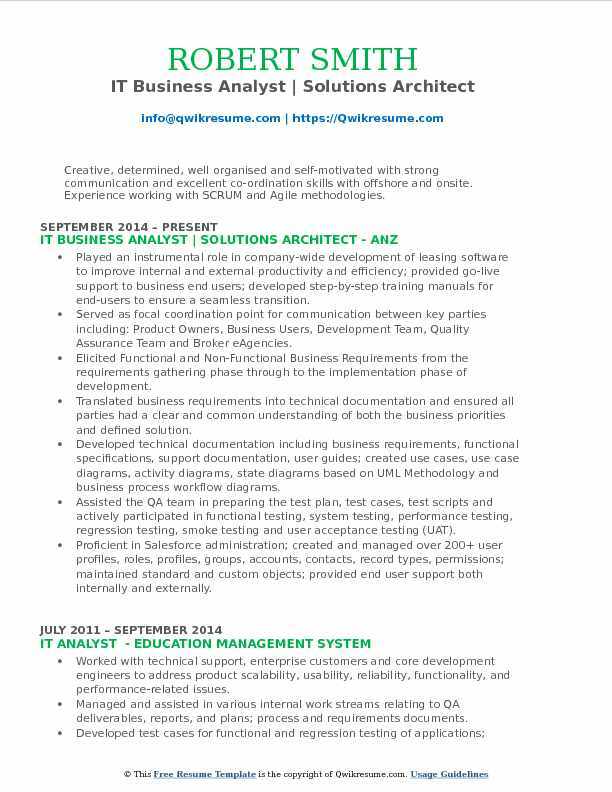 Objective : Innovative problem solver with the ability to see the business and technical sides of the problem. Proven leadership with exceptional communication skills, both oral and written. Worked on data strategy i.e how to deliver quality data, maintain live data, historical data and data accuracy. Implemented validation of source data systems along with data mappings. Facilitated sessions for volume requirements, design reviews and periodic sessions for ongoing progress. Performed and documented gap analysis to determine deltas between existing and proposed systems. Created and managed change control requests and managed traceability matrix. Developed test strategy, test scenarios, test cases for System integration testing and User Acceptance testing. Interfaced with software vendors to diagnose issues and define an appropriate course of action for resolution. Headline : To find a position that allows me to not only utilise my analytical, creative, and leadership skills, but also allows room for growth. Developed process improvement (pi) for commercial-off-the-shelf (cots) product evaluation and selection process which reduced purchase time by 40%. Developed pi for requirements a traceability process which reduced the rate of missed requirements by 30%. Developed requirements management pi which resulted in a cost-savings of over $10,000. 00. Developed pi for reusable requirements which reduced project times by 30% and reduced cost by over $6,000. 00 per project. Business analysis: needs assessment; cost-benefit analysis; make-buy assessment; market research analysis. Requirements analysis: elicitation, gathering, and document requirements; authoring requirements specification documents; authoring use case documents (uml),. Project management: work breakdown structure (wbs); effort estimation; product/deliverables management. Summary : Recognized as a team player with proven success driving projects to completion and meeting strict deadlines in support of organisational goals. Provided functional, technical, project management and training support for several globally implemented applications. Modified several Unix scripts and created functional specs for new interfaces, database triggers and alerts. Configured Oracle order management, shipping, and edi setups to support new customer requirements. Designed and implemented interfaces between labeling and order management to fully automated processing. Worked closely with on-site and off-shore programming group to test/remediate applications. Executed test scenarios, participated in conference room pilots and documented extensions and interfaces. Provided requirements analysis and developed steady-state support model for release management processing. 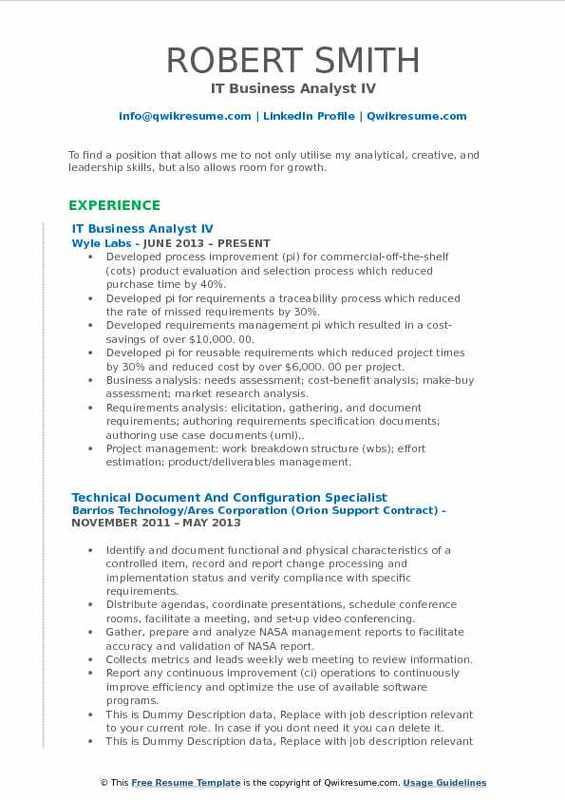 Headline : Experienced professional with comprehensive strategic planning and implementation skills. Innovative problem solver, with the ability to see the business and technical sides of a problem. Proven leadership and negotiation abilities with exceptional communication skills, both oral and written. 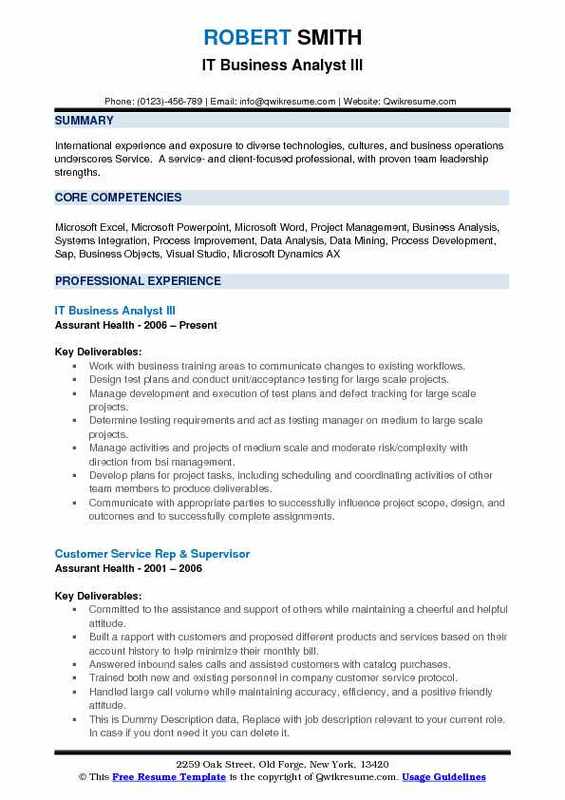 Crystal reports development, data processing requests, service requests, modifying system parameters and formats, testing support and test case/test plan development. Develop and implement analysis, reports, and metrics to represent the business performance for the organization. Analyzes business data and reports the performance of the organization. Assist in the supervision of service desk staff, gather report specifications, document root cause analysis. Translate business and functional requirements into stored procedures and subsequent reports. Report programming designs, coding, testing, debug and documentation of system scripts, programs. Responsible for performing the phases of the SDLC including technical research, report requirements analysis, and technical report design. Summary : Creative, determined, well organised and self-motivated with strong communication and excellent co-ordination skills with offshore and onsite. Experience working with SCRUM and Agile methodologies. Played an instrumental role in company-wide development of leasing software to improve internal and external productivity and efficiency; provided go-live support to business end users; developed step-by-step training manuals for end-users to ensure a seamless transition. Served as focal coordination point for communication between key parties including: Product Owners, Business Users, Development Team, Quality Assurance Team and Broker eAgencies. Elicited Functional and Non-Functional Business Requirements from the requirements gathering phase through to the implementation phase of development. Translated business requirements into technical documentation and ensured all parties had a clear and common understanding of both the business priorities and defined solution. Developed technical documentation including business requirements, functional specifications, support documentation, user guides; created use cases, use case diagrams, activity diagrams, state diagrams based on UML Methodology and business process workflow diagrams. Assisted the QA team in preparing the test plan, test cases, test scripts and actively participated in functional testing, system testing, performance testing, regression testing, smoke testing and user acceptance testing (UAT). Proficient in Salesforce administration; created and managed over 200+ user profiles, roles, profiles, groups, accounts, contacts, record types, permissions; maintained standard and custom objects; provided end user support both internally and externally. Objective : Technical background with business vision, Signature contribution enhancing delivering business value and supporting high-performance work environments, ensuring long and short term success. Participated in developing program schedules on a weekly basis using MS. Project 2013 trace task path feature. Monitored project lifecycle, events, and milestones using MS. Project 2013 trace task path feature. Incorporated capacity planning into sprint planning sessions through agile scrum methodologies. Tracked active directories in order to validate active user accounts for databases in various environments. Tested web services to determine whether acceptance criteria has been met by user stories. Created and executed both load and functional tests for web services through soap ui/xml. Developed business architecture using requirements such as scope, processes, alternatives, and risks. Attended jad meetings and touchpoint sessions to develop and present project requirements. Headline : To use my abilities, team orientation, and experience to drive continuous organisational improvement and increased corporate profitability. Acts as liaison with business owners, vendors, contractors and others as needed on projects with a focus on improving existing processes. Lead project in cutting costs, streamlining billing and reconciliation of IT budget with local carriers and vendors. Identify potential process improvements which may require system enhancements. Creates and assist in testing uat/urt to ensure accurate, efficient, seamless and user-accepted deployment to meet the needs of the business with a feedback loop to it and test lead. Utilizes knowledge of business, industry and technology to create and document business and system requirements, develops business and operational deployment strategies. Ensure that all requirements and recommended solutions comply with the organization and It standards/objectives, including data governance, automation and integration objectives. Creates and tracks detailed work plans, schedules, estimates, resources, and status reports. Objective : Motivated, personable business professional with an extensive background in business administration affairs, project planning and strategic managing. 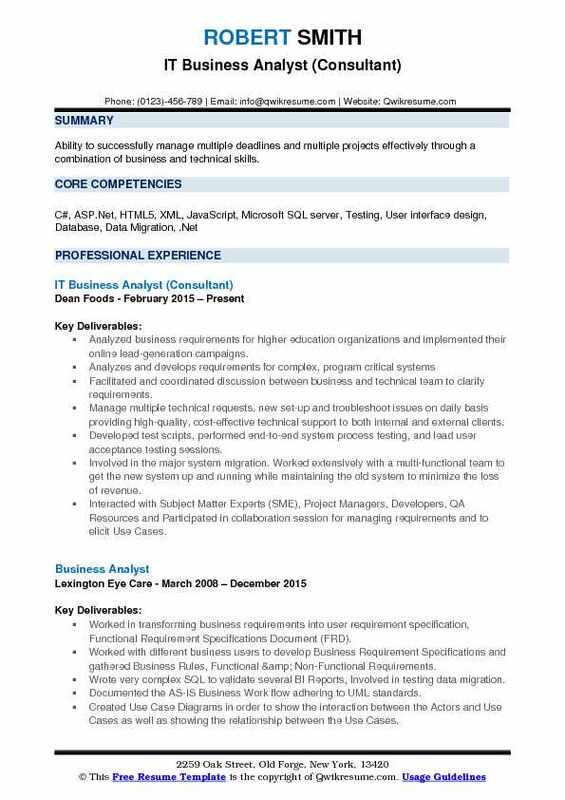 Skills : Agile Methodology, SharePoint, Microsoft Office, Excel, Database, HTML, PowerPoint, SQL, Gap Analysis, Testing, User Acceptance. Creating and developing user stories based on business and systems requirements, as well as defining and elaborating user stories with validation and acceptance criteria. Gathered and analyzed business requirements for various projects by collaborating directly with the department to access impact and provide alternate solutions when necessary. Effectively collaborated across all teams and communicating results of multiple software releases. Creating new business rules and process flows for proposed system enhancements. Assist in providing verification support during monthly production releases. Create test scenarios and analyze program results to ensure requirements are met. Ensure that technology solutions meet global business requirements, goals and best practices. 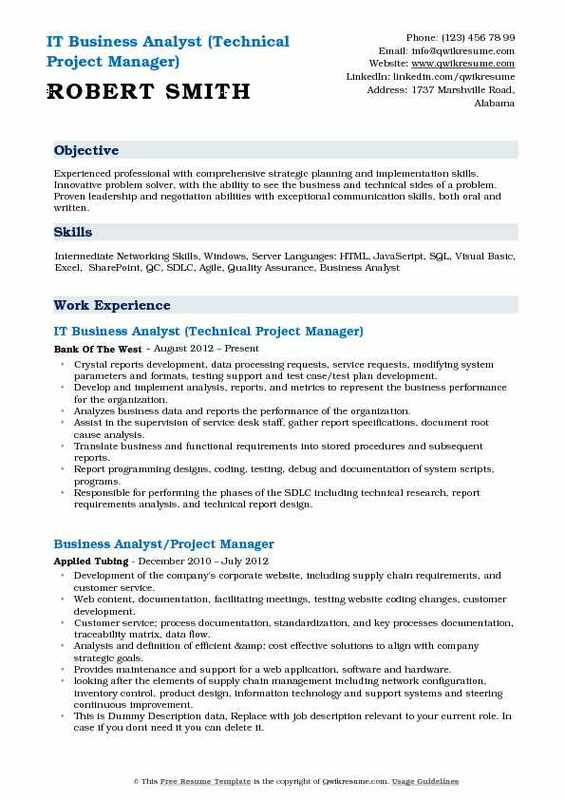 Objective : Recent business graduate with demonstrated leadership qualities and proven ability to analyse business processes and standards. 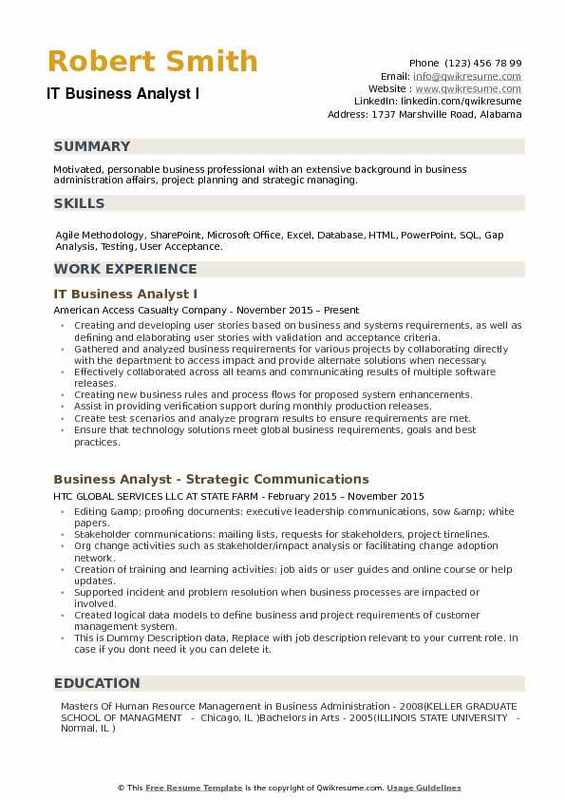 Skills : Microsoft office- Excel, word, Access, PowerPoint, Outlook, Visio, SQL, Visual Basic, Html, SharePoint. Implement and provide technical and operational support for financial and supply chain management modules. Work with the technical team, software vendor and customer to resolve issues. Responsible for setting priorities, managing projects and providing timely and experienced application support. Work closely with programmers and customers on detailed data conversions. Perform gap analysis between the customer's current legacy system and new system. Perform unit testing and integrated testing with the customer including developing and executing test scripts to ensure proper system functionality. Develop new business processes and procedures as related to the new system implementation. 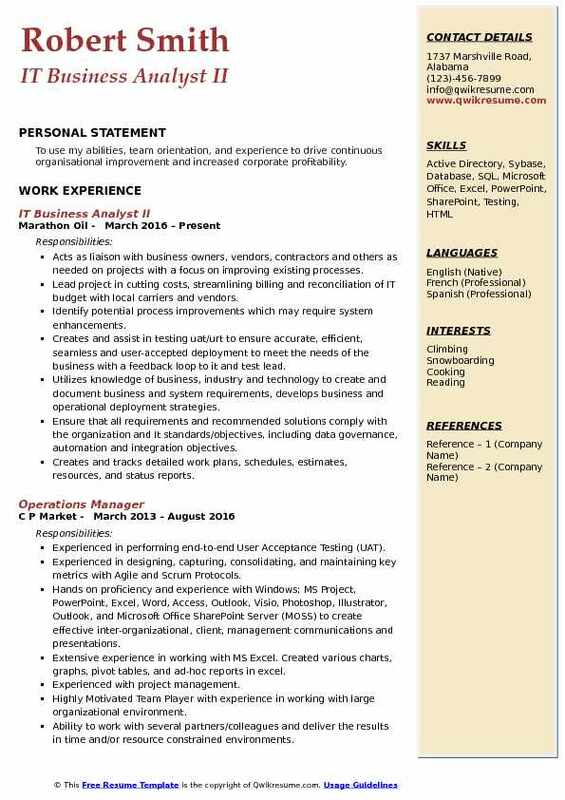 Summary : Ability to successfully manage multiple deadlines and multiple projects effectively through a combination of business and technical skills. Analyzed business requirements for higher education organizations and implemented their online lead-generation campaigns. Facilitated and coordinated discussion between business and technical team to clarify requirements. Manage multiple technical requests, new set-up and troubleshoot issues on daily basis providing high-quality, cost-effective technical support to both internal and external clients. Developed test scripts, performed end-to-end system process testing, and lead user acceptance testing sessions. Involved in the major system migration. Worked extensively with a multi-functional team to get the new system up and running while maintaining the old system to minimize the loss of revenue. Interacted with Subject Matter Experts (SME), Project Managers, Developers, QA Resources and Participated in collaboration session for managing requirements and to elicit Use Cases. Objective : I like a challenge, actually multiple challenges that make me dig deep, delivering a great product, pleasing my customer and moving on to the next group of challenges. 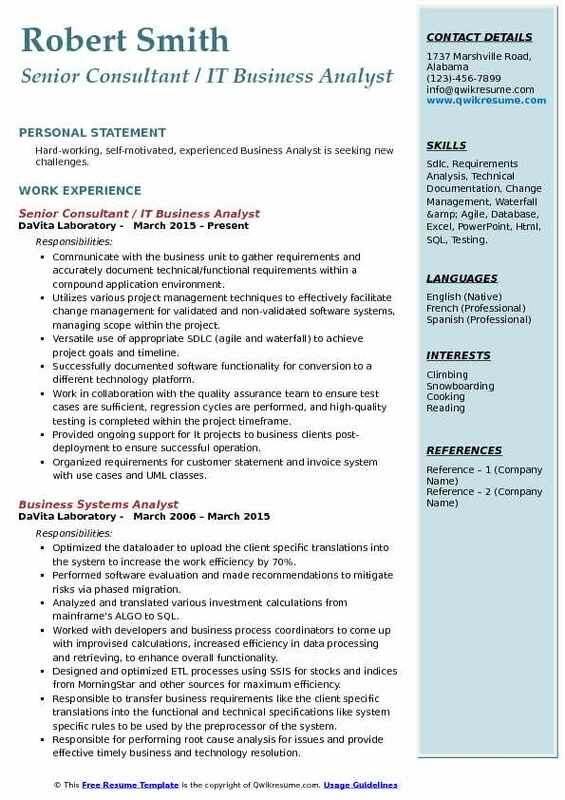 Skills : Database, Microsoft Project, excel, PowerPoint, Data Migration, Testing, Html, Java, .Net, XML, SQL, SharePoint, Linux, Technical Lead, Quality Assurance. Provide a strong link between Cardinal Health's EIT division and business clients to identify and understand business requirements. Work independently to develop functional and technical specifications, work with business leads to interpret specifications and ensure the process and standards for development are followed. Responsible for gathering business requirements to document present and future processes. Responsible for deeply understanding the business in multiple functional areas and across business units, as well as understanding the application landscape and capabilities. Maintain relationships with the business and leverage requirements engineering practices and methods to enable improved business processes to drive business success. Leads elicitation sessions using variety of requirements gathering methods such as interviews, documentation analysis, surveys, site visits, business models with executives, managers, developers and subject matter experts. Coordinate with IT Support team to ensure the mutual understanding of process and application to provide the best solution to the clients. Headline : Offering my passion for research, analysis, planning, developing, organising, training and executing socially responsible projects. Interacts with the business teams to gain an understanding of the business needs and technological requirements. Analyze and creates detailed documentation of business systems and user needs, including workflow, program functionality, and steps required to develop or modify application integration. Designed and implemented workflows using UML modules for logistics process. Authored, implemented and managed business requirements for six separate It development projects. Accurately resolved billing issues on purchase orders and monthly invoices in an effective, timely manner. Manages the communication between business and it developers to make sure the tasks are made apparent. Develop and implement strategies for data migration. 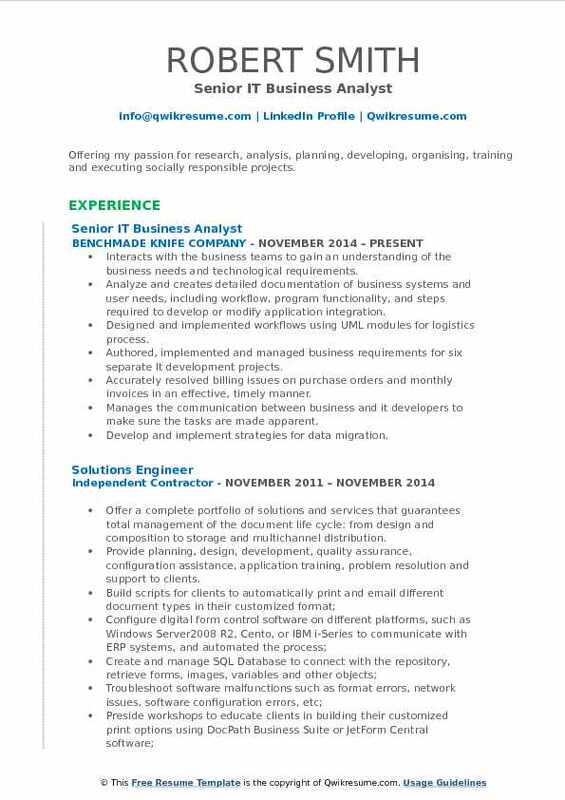 Summary : Hard-working, self-motivated, experienced Business Analyst is seeking new challenges. 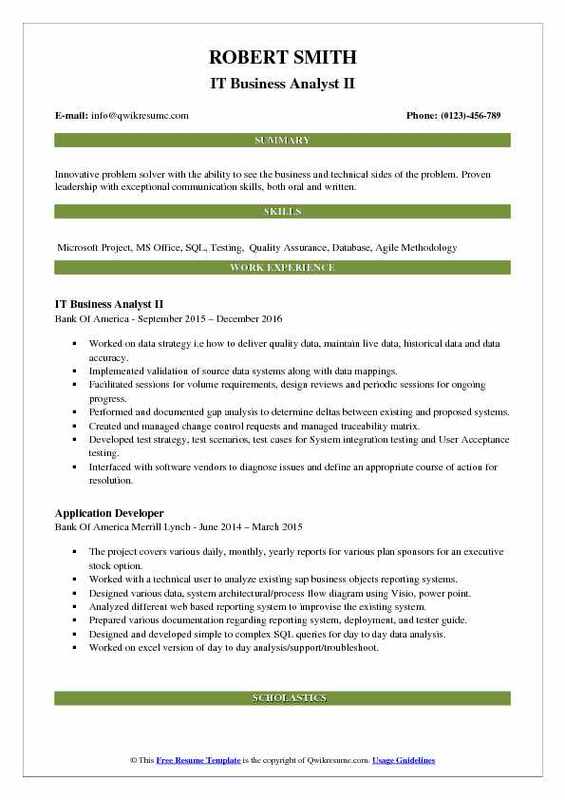 Skills : Sdlc, Requirements Analysis, Technical Documentation, Change Management, Waterfall & Agile, Database, Excel, PowerPoint, Html, SQL, Testing. Communicate with the business unit to gather requirements and accurately document technical/functional requirements within a compound application environment. Utilizes various project management techniques to effectively facilitate change management for validated and non-validated software systems, managing scope within the project. Versatile use of appropriate SDLC (agile and waterfall) to achieve project goals and timeline. Successfully documented software functionality for conversion to a different technology platform. Work in collaboration with the quality assurance team to ensure test cases are sufficient, regression cycles are performed, and high-quality testing is completed within the project timeframe. Provided ongoing support for It projects to business clients post-deployment to ensure successful operation. Organized requirements for customer statement and invoice system with use cases and UML classes.